Peers into kids’ fridges, peeks under their beds, and dares them with deliciously disgusting Grosstacles. The chaotic fun culminates in a wild cooking match held in a boxing ring, where the kids make a nutritious meal from scratch and put it to the Taste Test — all cheered on by their closest friends. And none of them know what they're in for because - Surprise! 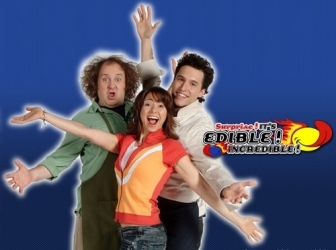 It's Edible Incredible!